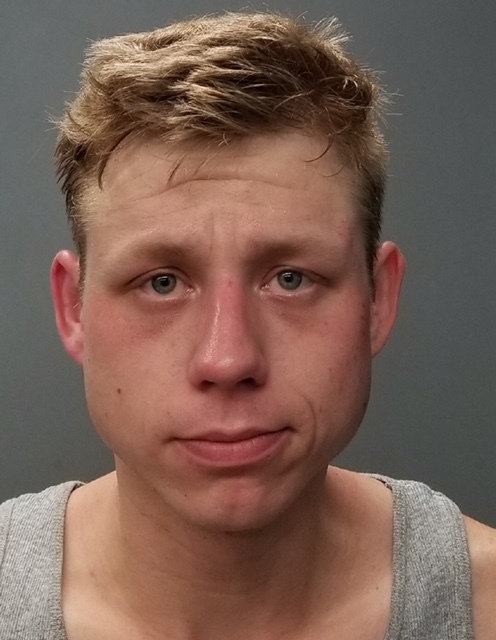 Jeffrey Steigelman, age 26, of Phoenixville, PA, was arrested this morning at approximately 7:55am on Pike Street in the City of Port Jervis and charged with Reckless Endangerment in the 1st degree (felony) and the misdemeanor charges of Unlawful Fleeing a Police Officer in the 3rd Degree, Reckless Driving, Criminal Mischief in the 4th Degree, Criminal Possession of a controlled Substance in the 7th degree and Criminal Possession of Marijuana in the 5th Degree and several vehicle and traffic law violations. A police pursuit was initiated in the State of Pennsylvania by National Park Service Police Rangers after Steigelman nearly struck a Park Ranger with his motor vehicle. Port Jervis Police were notified that Steigelman was leading Park Rangers and officers with the Milford Boro Police Department and Eastern Pike Regional Police Department towards the City of Port Jervis in an attempt to elude authorities. Port Jervis Police Officers and a Town of Deerpark Police Officer deployed to the Port Jervis/Matamoras Bridge and various locations on Pike Street and observed the suspect operating a 2001 Audi in a reckless and unsafe manner into the City of Port Jervis from Matamoras Pennsylvania. Officers attempted to stop the vehicle as it entered the City of Port Jervis and the driver continued to operate in a reckless manner in attempt to elude authorities. Officers successfully deployed a series of tire deflation technologies and the driver was stopped after striking and damaging a fence and two unoccupied parked vehicles on Pike Street. The driver taken into custody by officers and was treated for minor injuries. Currently, the defendant is being held in the Port Jervis City Lock-Up facility without bail pending a Port Jervis City Court arraignment later this evening. National Park Service Rangers, Eastern Pike Police, Deerpark Police and members of the Port Jervis Fire Department and Port Jervis Ambulance assisted Port Jervis Police Officers at the scene. The defendant is facing additional charges in the State of Pennsylvania by the National Park Service, Milford Boro Police and the Eastern Pike Regional Police Department.